We are so honored for the love we receive in the press. 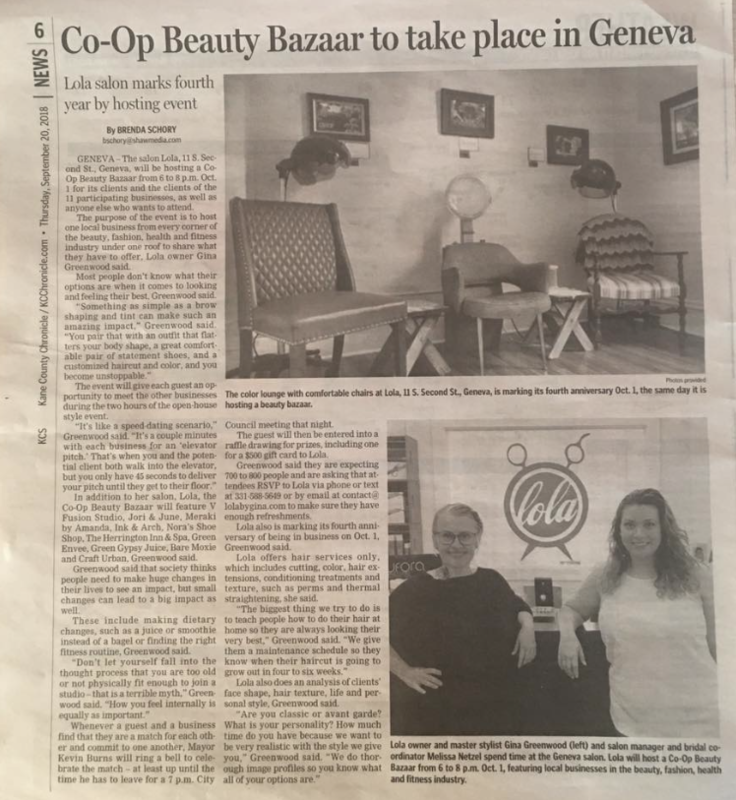 Here are a few places the press have featured Lola Salon and our incredible artists. If you would like to feature us or have any press related questions send us an email! When it comes to knowing what’s best in the western suburbs, West Suburban Living goes right to the source — their readers. Following their choices for the best the western suburbs have to offer in almost 80 categories — a very impressive list, indeed. West Suburban Chicago is home to many creatively stylish residents– from boutique owners and entrepreneurs to beauty and clothing stylists. Each story is just as inspiring as the next. Here are 8 of the best local salons in Batavia, Geneva, North Aurora and St. Charles, as voted on by readers in our Best of the Fox competition.